Whilst twiddling my thumbs, waiting for Landmark to launch, I’ve been contemplating reasons why a Founder’s Pack purchase might be a good idea. What benefits, tangible and intangible, does the package offer it’s buyers? I’ve thought of seven great reasons why I’d buy a Founder’s Pack. 1. Items and Boosts. The in game goodies offer boosts to gathering and crafting or the convenience of better inventory management. They’ll save us a lot of effort over the life of the game. My pick of the items is the mega pocket (who doesn’t need more storage, right? ), and the void vault. The void vault seems particularly useful, having access to stored goods from my property means much less running around and inventory fiddling, such a boon when all I want to do is build. Everyone needs a flappy flag for their property. This flag is part of the Trailblazer’s Pack. 2. House Props. 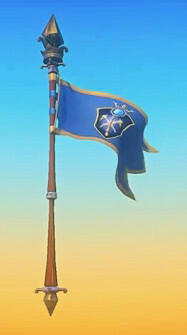 As a veteran builder of houses in Rift, the flags immediately caught my eye. Gently swaying trees, flapping flags, nothing beats a moving object to bring life to your domain. Not only do we get the flag but the recipe to make more flags, giving us an unlimited supply. From my experiences building in Rift, I’m going to love having this prop. 3. Costumes. Need something nice to wear when you head out adventuring? Both the Trailblazer and Explorer packs include costumes for our characters. The courtier’s regalia and tech sergeant’s gear is attractive, streamlined and practical but for true parkouring, something flappy is just the ant’s pants. Take a look at the cloak movement for the noble’s regalia and the coat skirt for the tech commander’s gear. Just imagine those flapping around you as you jump, twirl and somersault your way across the landscape. 4. Titles. Some people love em, others forget they exist. The titles ‘Trailblazer’ and ‘Founder’ will have status for the life of Landmark. It proclaims you were there from the beginning. When you tell tales of the early days and your listeners say ‘Prove it!”, whip out these titles and shut them up forever. 5. Fame. Looking for glory? Want to be on top of your world’s housing ladder? The early bird catches the most votes and once on top or near the top of your ladder, it’s harder for new folk to catch up. It’s that reinforcing effect of ‘They’re on top, they must be good’. Of course, this effect works best if you have a modicum of talent to go with it. Good thing early birds also get to practice their creative skills first. Fame is also a good asset if you want to succeed at reason number six. Is this the new Radish look? Tech Commander’s Gear from the Trailblazer’s Pack. 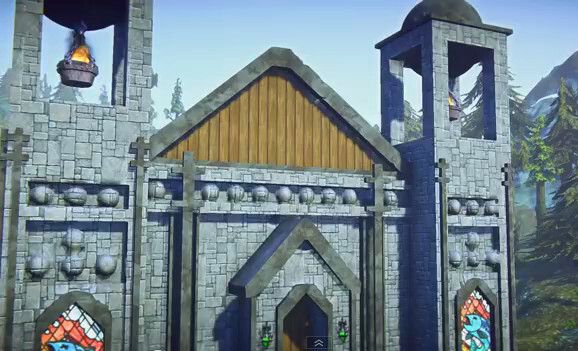 time open beta rolls around, we’ll all be masters of the building tools. We’ll have our style matured, our templates designed and our customers lined up while the influx of new folk play catch-up. They will want templates to build and we’ll be there to sell our creations to them. 7. The Alpha Experience. Very few of us will get to experience alpha testing. I’ve been in early betas and know that the world is a different place there. Odd placeholder graphics, workarounds for systems not yet in game, bugs and good ideas that don’t work are what we’ll see in alpha. Alpha access will give you a glimpse at these mysteries if you’re interested in looking under the hood of game design. It will also mean limited access, as servers are downed for new builds, frequent downloads and the frustration of a very raw game. “Why Radish,” I can hear you say, “Forgotten how to count? Skipped the whole numbers section of kindergarten?” Yes, there’s a reason number eight. I haven’t included it in the list of great reasons because, in my humble radish opinion, it’s the best reason to buy a founder’s pack. 8. Cameraderie: The best part of an MMO is the people in it. Love them or hate them, they are the one part of the game that is always capable of surprising me. I love people. An MMO played by myself is a lonely place. I like to find a little in-game family to help while away my time. Sifting the gems from the riff-raff can be a hard task but in alpha, and to some extent beta testing, I’ll be rubbing shoulders with people who are already invested in the game. The people buying the Founder’s Pack will be full of hope and optimism that Landmark will succeed, they’re willing to take risks, even the trolls will be invested trolls. Their imagination has allowed them to see the potential of the game and that makes the founders a self-selecting bunch. I bet they’re interesting people and I’m looking forward to meeting them. So there’s my seven great reasons and one best reason to buy a Founder’s Pack. I’ll be forking over my money for a Trailblazer’s Pack soon. I’m curious though, what’s your best reason to buy a Founder’s pack? Very cool has me thinking of taking a nice look at this game. Even though I love Rift so very much . After all I build in other games I fine every game has prod and cons and all are just as fun to build in. Great list, Radish. Even though I don’t care for the graphics, I may throw some money at it. Hey Radish, Valzen@Greybriar here. I’ve been playing EQ2 as well as some Rift. I have to say I love EQ2’s way of doing player housing on so many aspects, I can’t possibly list them here. And as an avid builder, I am definitely getting EQN Landmark traveler’s pack, because I think SOE knows how passionate we are about building/creating. They understand. Period. It will also be a great way to start making stuff for the EQ Next, which we can make real money in the shop as it is now in EQ2’s Player Studio. They will be adding to that on many levels. Very excited. Hope to see you there!! 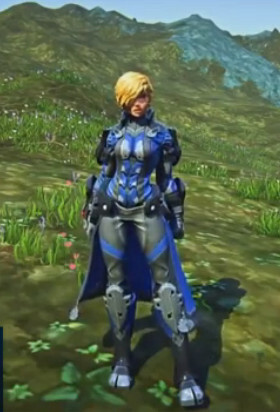 Yes, I think a fair few of us will be playing Landmark. So many things we will be able to do there that Rift just can’t handle. I think I’ll still be dabbling in Rift though. Landmark doesn’t seem to have enough glowey plants and that dark, mutated look that I enjoy in Rift. Yes, the graphics are certainly different. And yep, Rift will keep me around for sometimes, too. 🙂 btw, thank you for your wonderful website!